'97 C4S. 46k. Original Paint. CA car from new. 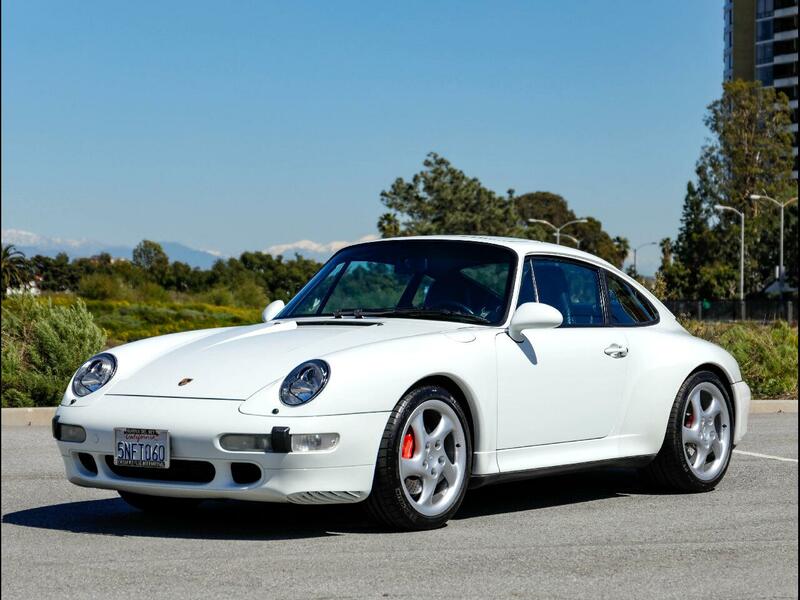 Chequered Flag International is pleased to offer this 1997 Porsche 993 C4S Coupe in Grand Prix White with Black leather interior. 46,520 miles with clean Carfax. Sold new at Mckenna Porsche in Norwalk CA and lived in So Cal ever since. Options include Motor sound Package, Technic Package and Hi-Fi Sound. Superb accident free body with excellent original paint. Both bumpers have been repainted. Superb original interior. Mechanically superb and always well serviced. Voluminous service records from '05 to 2018 - the last six years at Red Line in West Los Angeles (around $6k). Last owner did some good upgrades: Bilstein PSS 10's - fitted by Hergesheimer 7/08 $3,106 and part of a $6,865 service bill. Parrot Bluetooth. LED Light Conversion (original lights included), Euro Sway Bars, RS Shifter. All help make this a super nicely dialed in example. Comes with original books, three keys with remotes, tools, jack, air pump, Parrot manual and build sheet. Inspections encouraged. All sales AS-IS. Sales tax and license fees due if delivered in California. Message: Thought you might be interested in this 1997 Porsche C4S.